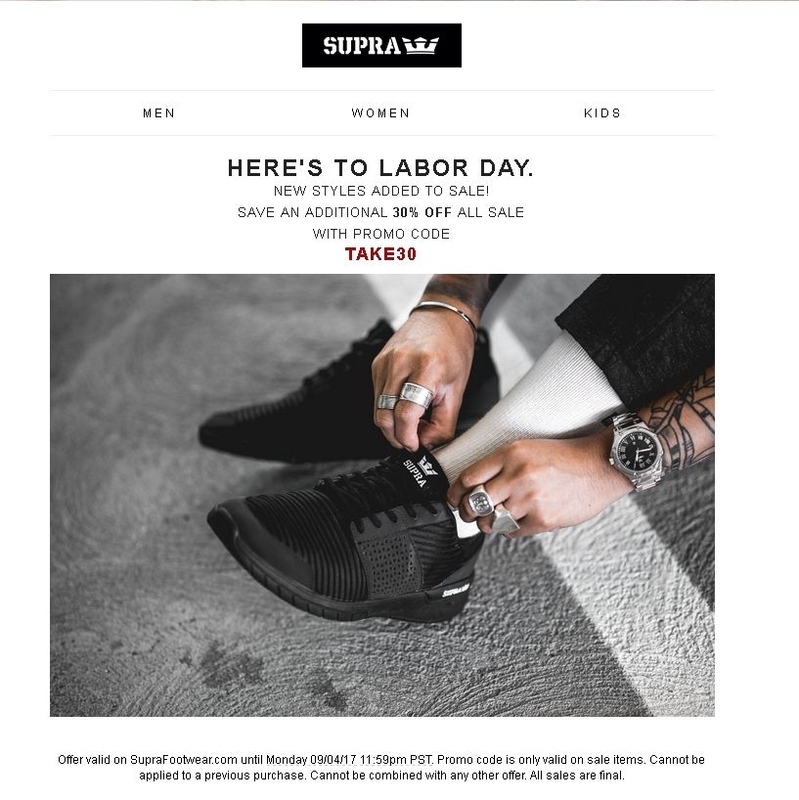 Sophia Davis Offer valid on SupraFootwear.com until Monday 09/04/17 11:59pm PST. Promo code is only valid on sale items. Cannot be applied to a previous purchase. Cannot be combined with any other offer. All sales are final.